I really though my Mac was stone dead this time. After all, when I plugged it in and switched it on there was nothing except that eerie silence produced by dead electronic devices! Thank you all for your commiserations, I appreciate your support. My very helpful computer guru Robert solved all my problems though over the phone. Thank you Robert! Apparently the power thingy-ma-whats-it needed re-setting. Once that was done, after a couple of false starts, my Mac rose from the dead. Phew! So now I can show you the photos I was going to show you. On Saturday we went to NewTown. I visited a shop called Afghan Interiors and found these two small “eggs”. 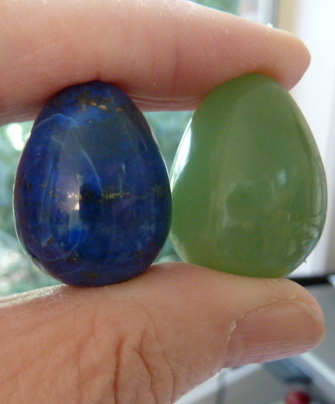 The green one is made of Afghan Jade (aka Serpentine) and the blue one is Lapis Lazuli. I’m sure my granddaughter will be very happy with them. 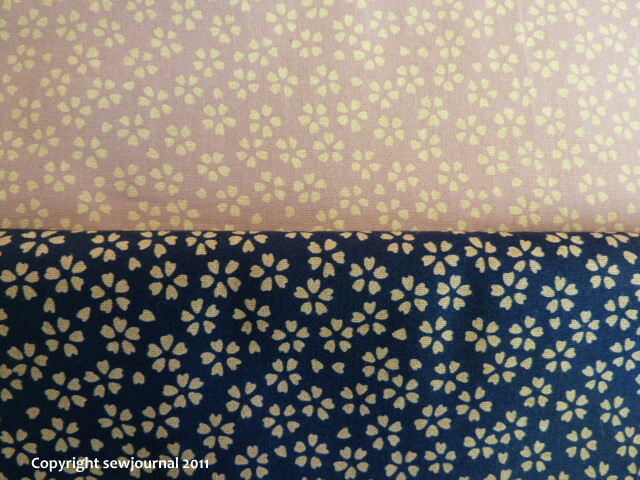 Then I saw a small Japanese craft shop and they had some Japanese fabrics for sale. 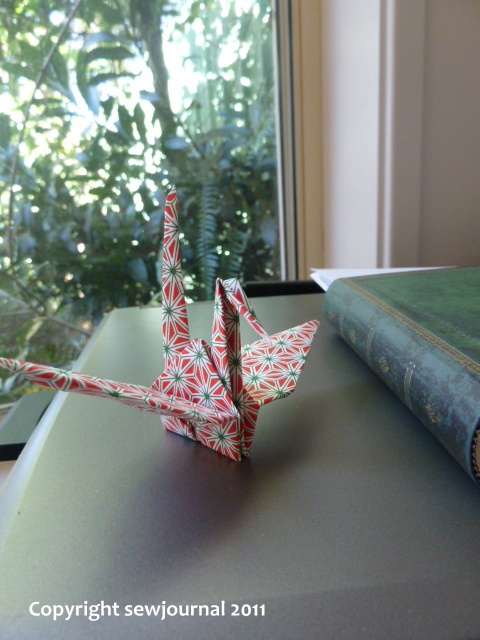 I bought these two and a small Peace Crane for my granddaughter.